1. The MidiBus app which users can download to make their MIDI life on iOS easier. 2. The MidiBus library which iOS developers can download and add to their apps to add robust and proven MIDI support to their apps. MidiBus is going to be released in stages. The first releases are going to focus on essential MIDI support for developers and for musicians, a solution to help control the mess that is iOS MIDI timekeeping. - Generate rock-solid MIDI Sync (clock) and MIDI Time Code (MTC) which can be distributed to apps and devices. Essentially a central and accurate clocking source. - MIDI controllable transport (start/continue/stop). - Monitor panel where all MIDI sources on the device are monitored and interesting statistics on overall event timing and specifically clock quality. You'll be able to see which apps/devices generate solid clock and which don't! - Fast switch to OMAC and many other apps from MidiBus. Here is a work-in-progress sneak preview of the Monitor panel. - MIDI devices are presented via the API as matched pairs (where possible) with 'cleaned' up port names. - Send and receive MIDI events to and from apps, devices or other iDevices with the API taking care of delivery. 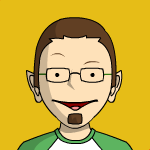 - Incoming events are validated and presented atomically. - Apps using the library can generate stable MIDI clock and MTC. - Apps using the library will be OMAC compliant (including OMAC switching). My hope is to have release 1 tested and submitted to Apple by the end of November, if not before. - Sysex transfer (including all the knowledge of iOS sysex limitations currently coded into MidiBridge). - MIDI routing between interfaces (split, merge, clone). - MIDI event filtering and transformation. - IIA MIDI bridging to CoreMIDI. Gradually, the functionality of MidiBridge will be migrated into MidiBus where practicable. That's just a brief preview. I have left this thread unlocked for comments, so if you have an opinion please feel free to post. Only opinion: thanks! Can't wait. Will beta as needed. Hi, will it have the ability to convert midi messages to keystrokes? 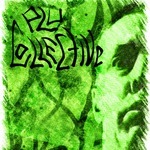 Or is that already available in Stream Byter? thanks! You want to 'type' characters with a MIDI keyboard into apps? I'm pretty sure an app wouldn't be allowed to send keystrokes to another app from the background. Hi any news on MidiBus? Also, since you stated that the functionality from MidiBridge would eventually be migrated over to MidiBus, curious why you decided not to just add a clock sync module in MidiBridge as an IAP? I always use MidiBridge and Audiobus (required for Loopy HD), and MidiBus would be another utility type of app that I would have to open and run everytime. Is it a separate app because of the new developer library? App submitted last Thursday, currently at Apple 'waiting for review'. Developer library releasing within the next 2/3 days. I haven't decided definitively if MidiBridge will turn into MidiBus or I just leave the MidiBus app as a lower cost clock app. 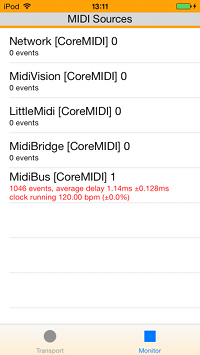 There is no reason I can't use the MidiBus library to add clock to MidiBridge. If there is enough demand I'd probably just do it. Thanks for the info. So MidiBus is similar to AudioBus in the sense that other apps have to be coded to be compatible to reap the benefits, no? I.E. AudioBus has the SDK and MidiBus has the library? Or, would the MidiBus app also stabilize the MIDI clocks for apps that have not implemented your library? MidiBus is a library that makes adding CoreMIDI to an app very easy for a developer and as an added bonus they can also make use of things like proper interface management, message parsing, validation, sysex handling, filtering, routing, clock control - All things that CoreMIDI doesn't provide that I built for MidiBridge. It's easy to add to a new app and simple to retrofit to an existing app. It doesn't replace/compete with CoreMIDI, so existing apps with CoreMIDI will interact exactly as they do now. Poorly behaved apps (not naming any names) will continue to behave poorly. Using the library automatically makes an app 'well-behaved' MIDI wise in terms of virtual port creation, channel configuration, port enabling and OMAC switching as well as the developer having access to the clock etc goodies and all the hard work of wrestling with CoreMIDI all done for them. Right now it only supports CoreMIDI, but in the future it may support other transports (bluetooth midi? IIA?) as well and any app using the library would be able to support those without needing to produce much (if any) code. Unlike Audiobus, no developer is forced to use the library (yes, equivalent to SDK) - it just helps. The MidiBus app on the other hand is an app that you can use to drive other apps/devices that will slave to clock. I went to great lengths to get the most stable, accurate clock signal I could and you can measure my clock (to see how well I did!) and compare with those other clocks using the MidiBus app too. Having measured the clocks coming out of other apps, I have yet to find one that has as low variance as the MidiBus clock. One request to add clock to MidiBridge - noted! Update - Apple seem to have approved the MidiBus app, so it should appear in the App Store imminently. Almost done with the library. Expecting to make it available tomorrow. I'm still at the moron stage when it comes to midi clock and midi sync and tend to just try a lot of combinations until I find something that works. It would be very useful if there were some videos we could watch with specific examples so we can wrap our heads around how to use the app. Due to the name similarity with Audiobus, people may think using midi bus will be relatively self explanatory like Audiobus. This hasn't been my experience and videos could be very helpful. Thank you! It would be really convenient if MidiBus were Audiobus compatible so you could use the transport controls from within Audiobus rather than having to jump in and out. I understand an app will need to have an audio engine to be Audiobus compatible but if you added one with the option to mute it, you could still use the midi only functionality. This is what I routinely do with Thumbjam, Arpeggionome Pro, and other apps. Audiobus support is definitely something I would look into. I'm a virgin when it comes to iOS audio, so have no idea how easy this is. Right now all my apps that can background play a silent file in a loop, but not using an audio engine. In terms of videos... I'm extremely untalented at doing videos. All my efforts so far have been atrocious (you can see them on the audeonic youtube channel). I'm hoping someone with some talent might step in like they have with the other apps. If no-one does, then I may be forced to but they usually cause more complaints! I'll give a shot at creating a video and run it past you to make sure I'm setting it up correctly before posting it. Here's a video showing how to setup MidiBus to control some apps running in Audiobus. Thanks so much for doing that and showing how easy it is to drive multiple apps from the MidiBus clock including changing bpm on the fly. Hope it is OK to add your video to the audeonic youtube channel and the audeonic site (once I get round to updating it with the app details).